After stopping at the store today, I realized how fast the turn around for the holidays has become. Months are spent on the build-up, I mean Christmas decor goes up before Halloween anymore... it's crazy... but in a matter of hours after stores have everything changed over, and Christmas disappears. There is a small blip for New Years, but in reality, all the businesses have already set their minds on 2018. So I'm taking the time to compile the best of 2017 over here in my corner! 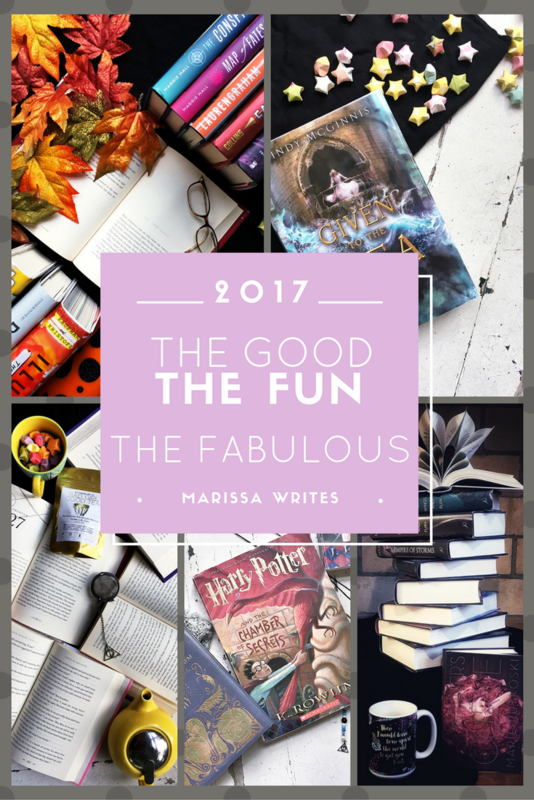 If you missed anything or you're new to Reading List, this your chance to really see all the good stuff before I slowly figure out 2018 will look like. All that to say, if there was a post, or event, or freebie, you loved this year, let me know, I love to hear from you all. Refocus Your Social Media Attention- This was a social media challenge to help you all dive into Instagram. 2017 was a serious year for growth on Instagram, and it looks like the social media giant will only grow more in 2018. 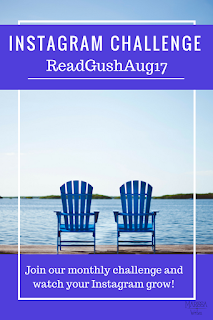 Reading and Gushing in August - The monthly Instagram photo challenge in August was very popular - every month I co-host a photo challenge to help you all grow your Instagram accounts organically - it's very popular. One Week Commitment to Read All the Books - I always want to join in Read-a-thons - to challenge myself to really focus on reading for a week and knock out some short books that tend to get lost, so this chance to read for a week in August was wonderful. And the best part was you all got to vote on the order of books I picked up. It was a ton of fun. Thank you all who voted! 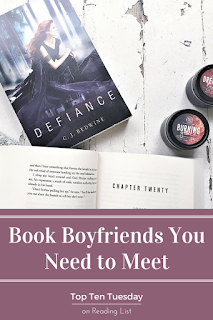 Book Boyfriends You Need to Meet - I started joining with the Top Ten Tuesday group this year, which has been a blast, and this time I put together ten male characters that are certainly book boyfriend material - it's a fun must read for the year. Books Featuring Mentally Ill Characters - Those with mental illnesses tend to get ignored in fiction, or do they? 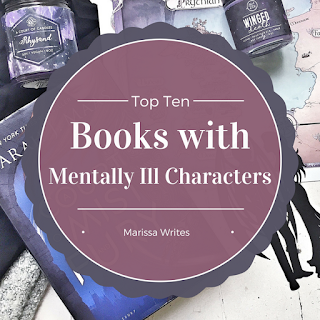 I put together a list that features all kind of mentally ill characters in fiction. The best part was that the list doesn't just feature fancy illnesses, but PTSD, Anxiety, and depression were featured as well. How to Ensure You Read More - This post invited everyone to join in a Goodreads reading challenge, which is always a blast! Finding a Balance in Fantasy Worlds with Contemporary Settings - I have adored the Rose Petal Graves series by Olivia Wildenstein this past year, and the final book is scheduled to come out soon. Silly Kids Books for Reading Aloud - It is so fun to read out loud - and kids can get so much out of sitting with someone and experiencing a story, so this list was so much fun to put together. Ten Book Blogs Worth Following - There is something extra magical about gushing over a book you love with someone who also adores it. 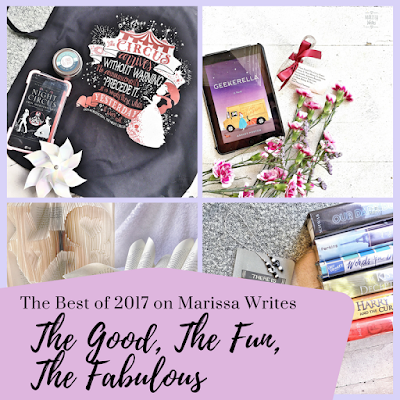 So this list of book bloggers was so hard to limit because I just love the book blogging community! Reasons to Visit Your Local Library - It is no secret that buying a ton of books gets expensive fast, so I'm a huge fan of local libraries! They get ignored, but there are so many reasons to stop by one. It's been a crazy year! The plan for the newsletter is to include the monthly free printable again. I love to doodle and design little prints, so I'm hoping to gift those of you who see this as a corner you enjoy visiting. And I'm going to continue to co-host the Instagram monthly challenges, in fact, January's is already posted, so maybe join in. 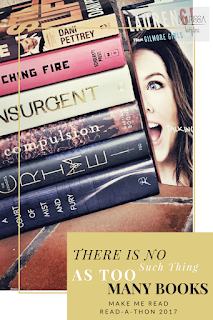 If you do post to Instagram, you will be entered to win an exclusive bookmark! And as far as bookmarks go, my store is expanding in January. I'm collaborating with a candle shop to provide a one-time exclusive candle and bookmark box! And I'm going to add bath bombs to the shop. So be sure to follow along on Etsy, right here. Also, What Are You Reading Wednesdays will be continuing. 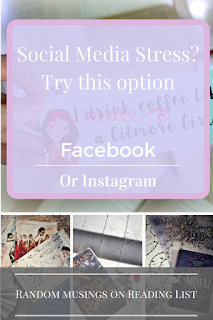 This is a super fun way to connect with other book bloggers and just chat over our current reads. 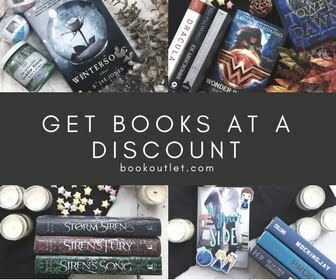 You can find your next read, or gush over a book with a fellow book fanatic. I hope you can plan to jump in. I'm hoping to do a few more features on why reading is such an important skill and making sure that every person is literate should be a goal. 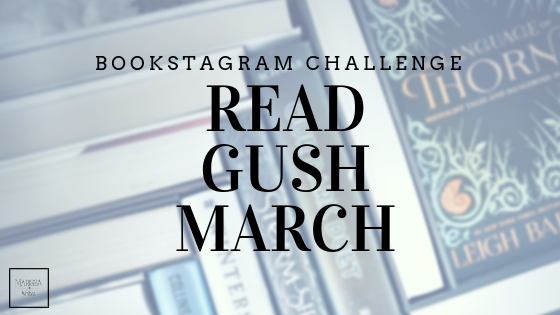 I have also committed to clearing out my unread books with a year-long reading challenge and book review, so that is something to look forward to. And I have set my 2018 Goodreads Challenge! So feel free to follow along over on Goodreads as well. 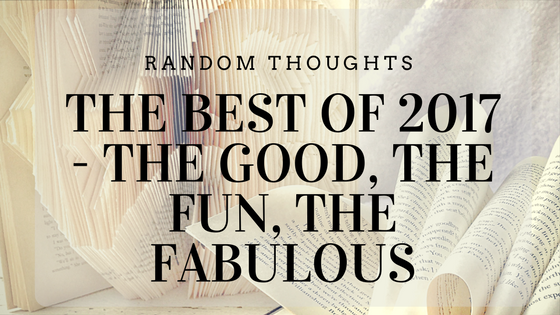 The year is closing with a bang, so here's hoping 2018 is just a fabulous! Let me know your favorites from 2017. And I'd love to hear what you want more of in 2018.